Are you passionate about community? Not too bad with a camera or enjoy documenting special occasions? Do you want to be part of a national event? If you answered yes to any of these questions, we would love to hear from you! 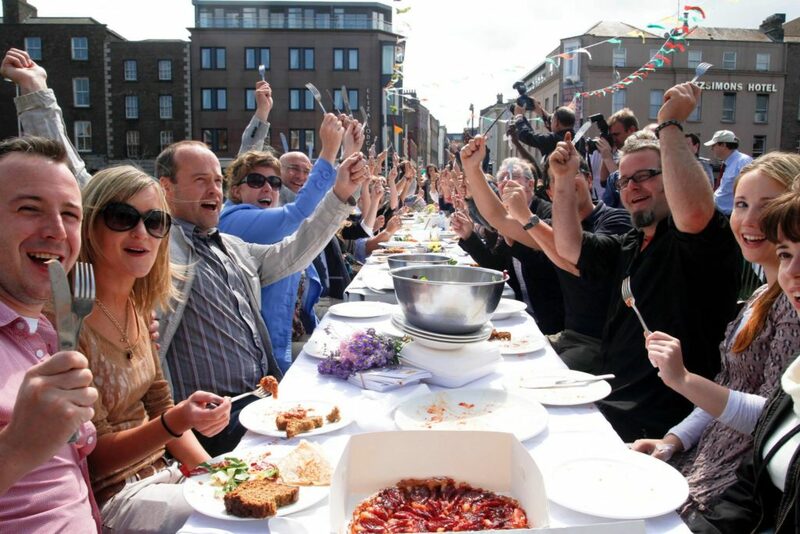 Street Feast is Ireland’s annual nationwide day of street parties and community celebrations held this year on Sunday June 10th 2018. Believe it or not, there are 1,309 Street Feasts taking place in neighbourhoods all around the country. We want to capture the magic. We are looking for people who want to support this grassroots initiative by joining the Street Feast Camera Club and helping us document the day. The voluntary role would essentially be capturing the special moments of Street Feast 2018 celebrations held in your local area on Sunday 10th June. Although we can’t pay for your time and skills, we greatly appreciate them. You will receive full photo credit wherever possible and we will happily provide a glowing reference on completion of a job well done. In addition, if you want to join the movement and think you can help-out in any other way, drop us a line. We’re very much looking forward to hearing from you!